Lyme disease has grown to almost pandemic proportions. With little to no funding for research and the fact that only half of those bitten and infected present a rash, it is no wonder that it has been able to bloom so steadily and quickly. Unless caught in the very early stages, antibiotics have proven a very ineffective treatment. Furthermore, antibiotics damage the immune system via abolition of gut flora so attempting this treatment too late can actually worsen ones ability to fight the infection(s). To make matters worse, the lack of support and research from the bulk of the medical community has left antibiotic treatment unsubsidized and expensive. Most often, someone with late stage Lyme is usually on disability and unable to afford unsubsidized antibiotic treatment(s). 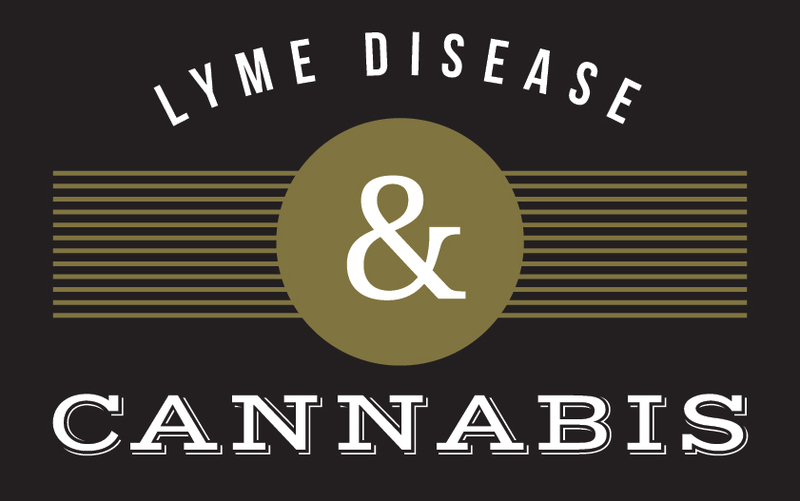 It would seem that Lyme disease itself is shrouded in a dark cloud of mysterious suffering… but as usual, nature has an answer for everything and for many, cannabis is the silver lining. Now before we get too excited, it is important to mention that while cannabis has worked miracles for some, for others it has had little to no effect. With that said, it is of note that while not all patients were able to get themselves into full remission, most were able to improve their quality of life whether it be better sleep, appetite, energy, coping, cognitive ability, pain management etc. When one starts their cannabinoid therapy, it is important to know which cannabinoids are right for the symptoms you are trying to treat. It would appear that Lyme is most responsive when a full spectrum cannabinoid extract is used. What this means is when THC is taken in high doses with negligible amounts of other cannabinoids or terpenes, the results are poor compared to an extract that has been made of the whole plant and still contains a combination of cannabinoids and terpenes. What I personally believe is that the reason a full spectrum extract performs so well is that the terpenes, sesquiterpenes and cannabinoids each have a different mode of action and together have a synergistic effect. Furthermore, the acid form (raw) and non-acid form or “decarboxylated” of each cannabinoid has a different mode of action and effect. In my experience, an extract made at low temperature will keep more of its acid form cannabinoids and terpenes intact. Gentle heating of the extract at different times and atmospheric pressures will cause part of the extract to become decarboxylated. This is very important because the effects of Cannabinoids in acid from can be completely different from the same cannabinoid when it is decarboxylated. Cannabidiol or CBD is a perfect example of this phenomenon. CBDA or cannabidiolic acid is only useful for the treatment of a handful of chronic illness and symptoms. Cannabidiol (CBD) is the result of heating CBDA at a specific temperature for a specific amount of time and it is useful for treating almost as many chronic illnesses and symptoms as all of the other cannabinoids combined. When it comes to Lyme disease, CBD is only a part of the treatment. THCA and THC both have individual effects as well as support the effectiveness of other cannabinoids and terpenes. I have found that having roughly 50% of your extract in acid form and 50% decarboxylated is ideal for Lyme. Now being that CBD is more effective than CBDA, I always recommend that people process their CBD separately. This allows for more control over the cannabinoids we need to keep in acid form. If the CBD is already in the extract prior to decarboxylation, one is forced to choose between fully decarboxlating their CBDA into it’s more effective counterpart or having half of it remain acid so as to keep the other cannabinoids they need in acid form. Insomnia is one of the chief damaging symptoms of Lyme disease. So far our best results for sleep have been achieved with THC and CBN (cannabinol), accompanied by moderate to high levels of Myrcene and Beta-Caryophylene. This combination is for many a gateway to restful, healing, deep sleep. 6mg – 20mg of a standardized extract taken sublingually 60 min prior to bed seems to be most effective in our experience thus far. Just this Night combination itself will net a better quality of sleep which usually has an immediate positive effect on mood, energy, brain fog, pain and many other symptoms of Lyme. L-Theanine, drinking plenty of water and a magnesium citrate supplement before bed can also improve sleep quality and duration. I hope that this helps shed some light on how to improve ones sleep when suffering Lyme disease or any form of sleeplessness.